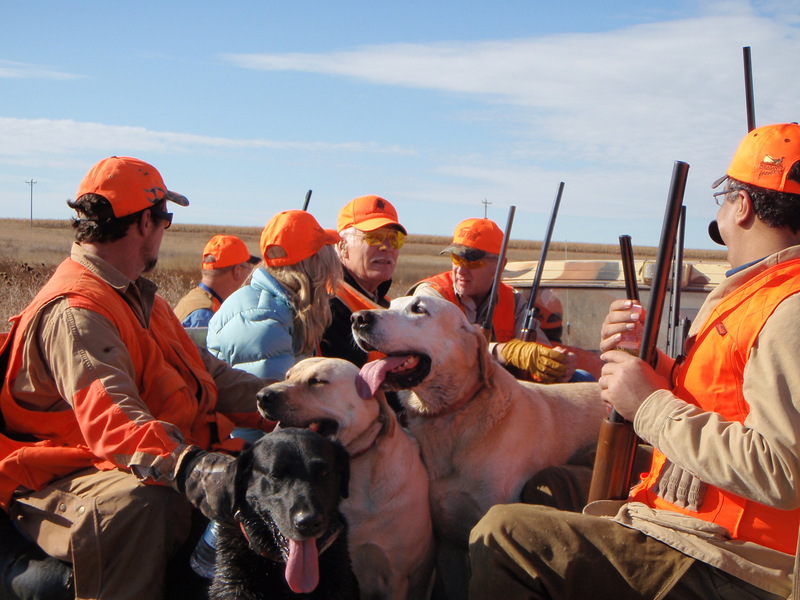 « Get your puppy fix at Pheasant Fest! Buddy’s tail quivered, eyes locked on a nondescript patch of grass along an unnamed North Dakota creek. I kicked the grass and a rooster erupted. One, two, three, and my shot dropped the ringneck. As I turned to my partner to gloat, he asked if I’d shot. Alright, so who gets credit when you're part of an all-star cast? He had too. The shots were so well synchronized, neither of us knew the other had also drawn down on the bird. I write because it’s more than a rare occurence. In the last couple seasons, I’ve shared credit with Ted Turner, winemaker Jerry Lohr, Gov. Mike Rounds of South Dakota, the Extraordinary and Plenipotentiary Permanent Ambassador to the United Nations for the Republic of Iraq, and a bunch of regular guys who mean just as much to me in the field as those big shots. Some happened in front of the Wingshooting USA cameras, so you’ll see them next season. Others, well, they were just for fun and you’ll have to take my word for it. Has this happened to you? What then? Who takes credit for the shot? And who takes home the bird? We generally have a laugh, pet the dog, and get on with the hunt. But what if you’re in a big group, including strangers. Or if one of your party is a well, game hog. What now? What would you do? Ah, a conundrum, indeed. But it’s one to relish. It happened to me thrice this year with my hunting partner. Oddly, after each instance, neither one of us said a word. The better shooter (my friend) surely figured he once again fired the fatal shot. I (the lesser shooter) figured my gunning was top-notch for the day. And who ended up with the bird? Not that it matters. First off, I have very much enjoyed your shows from several years back including different formats, but I have always enjoyed your laid back down home approach. Now to the question, unlike you I hunt flushing dogs, but they are well trained and steady English Springer Spaniels. I also shoot, in training, at the club, and in South Dakota many birds a year, and see a lot of different options. However, when I hunt with multiple partners we decide who gets first shot and then alternate on who shoots first. This seems to eliminate many of the problems, but on occasion, the simultaneous shot still occurs. I do believe 9 times out of 10 there is a slight variation on the shot and I can tell who shot 1st, but I would never let “I got that one”, ruin a friendship or worse yet, cause hard feelings between family. “Great shot, you got him”, is usually my reply, on occasion I will get “you know you got that one”, or vise versa, but deep down usually the person responsible has a pretty good idea what actually happened. On those rare occasions when we really don’t know, again, we alternate on possession. Great solution, Gary and don’t know why I don’t do that more often – maybe I need backup no matter when I shoot. Thanks for your compliments, too. We generally split up equally whatever we shoot, so the question of who gets the bird doesn’t really come up. Now you’re a guy I might actually hunt with, Paul.